Richmond K. Turner was born in Portland, Oreg., 27 May 1885. He attended high school in Stockton, Calif., before his appointment to the Naval Academy. Graduating with distinction in June 1908, fifth in a class of 201, he served the 2 years at sea then required by law, before being commissioned ensign in June 1910. 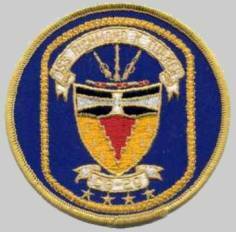 After graduation in 1908, he served consecutively in Milwaukee (C-21), Preble (TB-12), and West Virginia (ACR-5) until June 1912, when he joined Stewart (DD-13), assuming command a year later. The World War I years found him on board the battleships Pennsylvania (BB-38), Michigan (BB-27), and Mississippi (BB-23). After serving as Commanding Officer of Mervine (DD-322), he reported for flight training at the Naval Air Station, Pensacola, where he was designated Naval Aviator 30 August 1927. 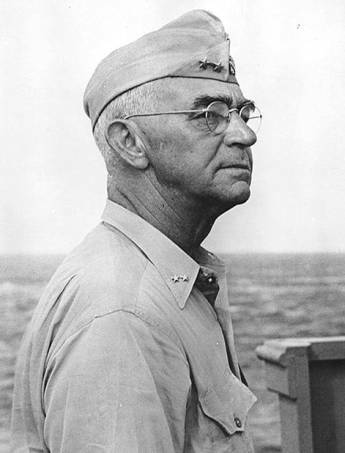 Upon completion of more than 4½ years of shore duty, Turner returned to sea as Executive Officer of the aircraft carrier Saratoga (CV-3) and subsequently Commanding Officer of Astoria (CA-34). 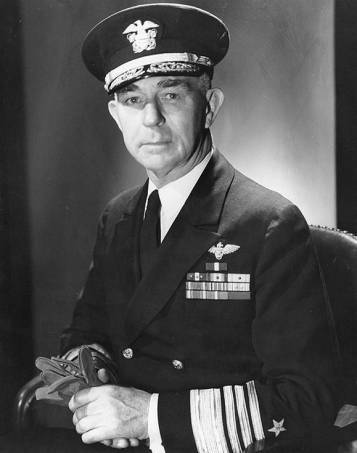 In October 1940 he became Director of the War Plans Division, Office of the Chief of Naval Operations, and in December 1941, in the rank of rear admiral, assumed additional duty as Assistant Chief of Staff to the Commander in Chief, U.S. Fleet. 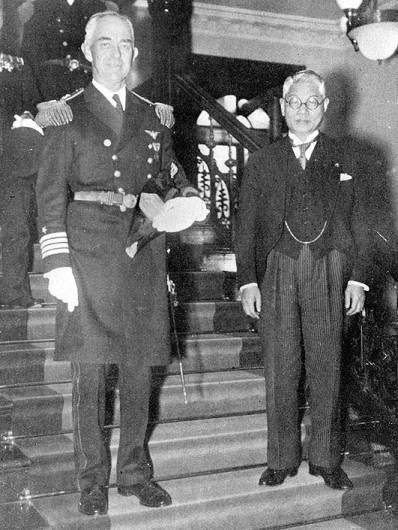 On 18 June 1942 he became Commander, Amphibious Force, South Pacific, and from that time participated in most of the major amphibious engagements of the Pacific theater. 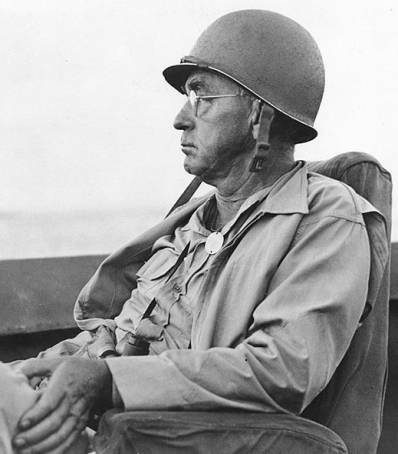 Among Admiral Turner's most noteworthy achievements during the Pacific campaign were the Guadalcanal-Tulagi invasion, the New Georgia campaign, the Tarawa assault, the occupation of the Marshall Islands, and the seizure and occupation of Saipan. 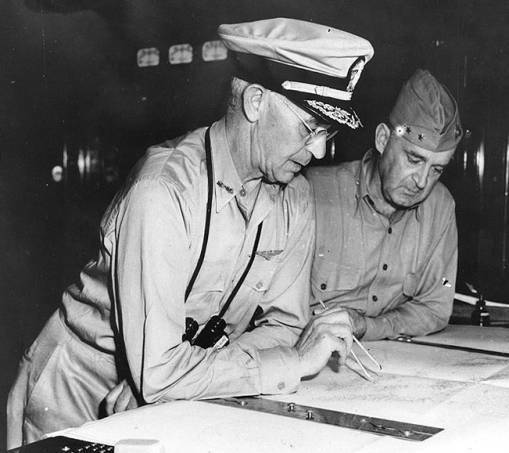 So successful were Admiral Turner's amphibious operations throughout the Pacific theater, that he came to be known to the Japanese as the "Alligator," the symbol of fast and inexorable amphibious striking power. 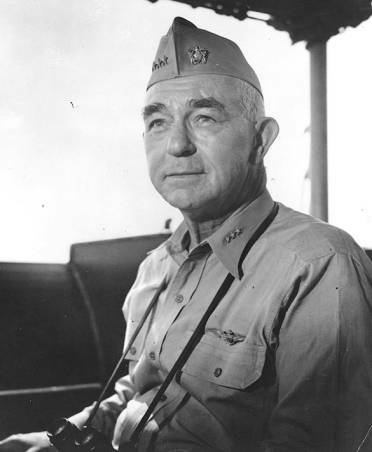 Besides the Navy Cross, he received the Distinguished Service Medal with three gold stars, the Navy Commendation Ribbon, the World War II Victory Medal, and the Philippine Liberation Ribbon. He was also made a Companion of the Order of the Bath by Great Britain. 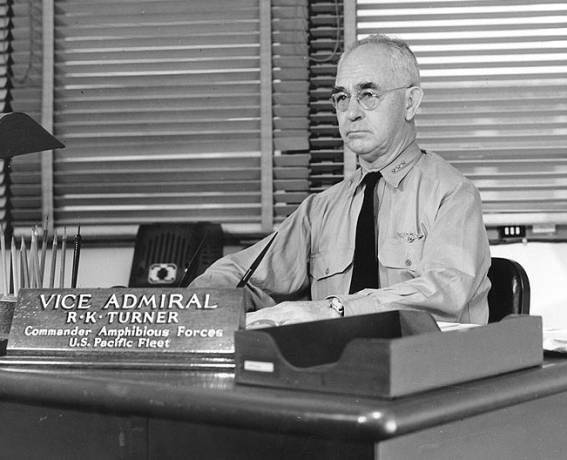 Admiral Turner was transferred to the retired list of the Navy in the rank of admiral on 1 July 1947. He died in Monterey, Calif., 12 February 1961, shortly after the death of his wife, the former Miss Harriet Sterling, whom he had married 51 years before. 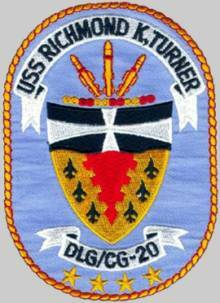 RICHMOND K. TURNER (DLG-20/CG-20) was laid down by the New York Shipbuilding Corp. Camden, N.J., 9 January 1961; launched 6 April 1963; sponsored by Mrs. Claude V. Ricketts; and commissioned 13 June 1964, Capt. Douglas C. Plate in command. Departing the Philadelphia Naval Shipyard 10 August 1964 for her homeport of San Diego, Calif., she touched briefly at Yorktown and Norfolk, Va., and then at Guantanamo Bay, Cuba. Entering the Pacific via the Panama Canal, she steamed northward toward her homeport, with a call at Acapulco, Mexico. She arrived San Diego 11 September. Following shakedown out of San Diego 19 March-7 May 1965, RICHMOND K. TURNER prepared for her first deployment to the western Pacific. Departing San Diego 4 June, she joined Task Force 77 in the Tonkin Gulf-South China Sea area and served as missile support ship for the attack carriers CORAL SEA (CVA-43), INDEPENDENCE (CVA-62), and ORISKANY (CVA-34), while they conducted air strike operations in Southeast Asia. In September, she was relieved of duties as missile support ship and reassigned to the Search and Rescue Destroyer Unit in the Tonkin Gulf. After participating in missions in which eight aviators were rescued through 8 October, she departed Subic Bay 30 November and arrived San Diego 18 December. RICHMOND K. TURNER's subsequent deployments have followed in the wake of her first WestPac voyage, with leave, upkeep, overhaul, and type training rounding out her periods in homeport. She stood out of San Diego 15 October 1966, bound a second time for Southeast Asian waters. Returning to her homeport 28 March 1967, she punctuated her coastal operations with a midshipman training cruise to Pearl Harbor. Departing for her third tour off Vietnam 10 June 1968, she contributed to Fleet readiness in Asian waters until her 19 December return to San Diego. Leave and upkeep extended through 20 January 1969. She then assumed duty as ASW Schoolship in the southern California operating areas. In February, she conducted a SecNav guest cruise, and 1 March she commenced an extensive updating of her shipboard missile systems at the Naval Station San Diego. She then underwent training and further preparations for her fourth WestPac deployment, which commenced in January 1970. She arrived in Yokosuka, Japan, 4 March and spent the next two months operating in the Sea of Japan. June found her off the coast of Vietnam, where she remained until late July. Stopping off at Guam and Pearl Harbor, she returned to San Diego in August, arriving on the 12th. 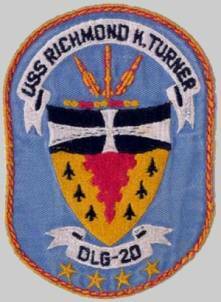 RICHMOND K. TURNER continued operations out of San Diego until 22 March 1971, when she embarked for Bath, Maine and antiaircraft warfare modernization. She arrived at the Bath Iron Works 27 April and was decommissioned 5 May. After more than a year at Bath, she was recommissioned 27 April 1972. For the next seven months, RICHMOND K. TURNER engaged in various post modernization trials, exercises, and refresher training along the east coast of the United States and in the Caribbean. She returned to Newport, R.I., 22 November and remained there until 9 January 1973, when she entered Boston Naval Shipyard for a two-month yard period. Leaving Boston in March, she continued normal operations out of Newport along the Atlantic seaboard and in the Caribbean until mid-December. At that time she returned to Newport and remained in port at Newport into 1974. 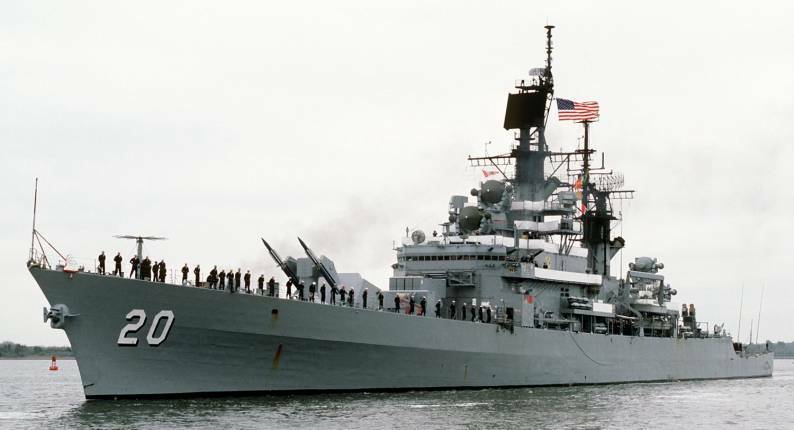 She participated in Operation 200 which included the International Naval Review in New York City on the occasion of the Nation's Bicentennial Celebration on 4 July 1976. In May 1980 TURNER participate in Boston's OPSAIL 80, in addition to conducting two special operations for which she was awarded a Meritorious Unit Citation. 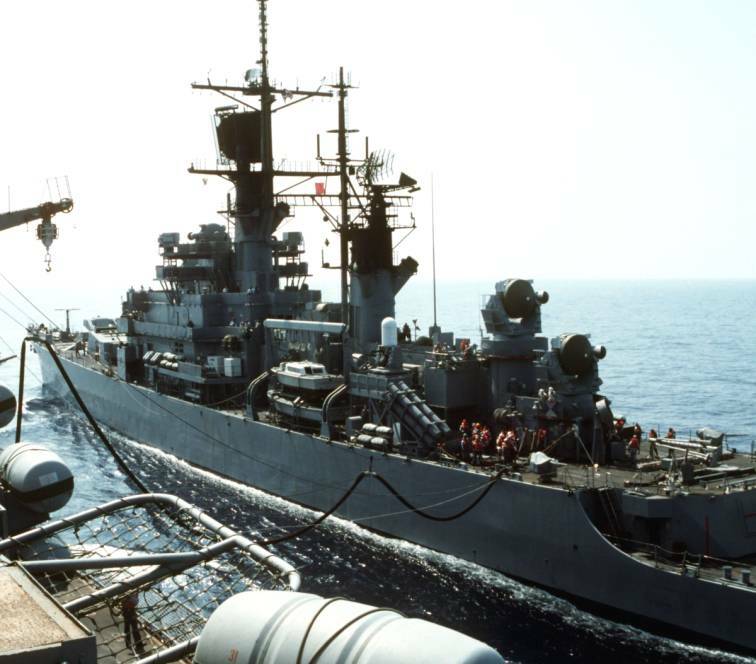 RICHMOND K. TURNER completed four highly successful Mediterranean deployments as part of the U.S. Sixth Fleet, prior to an extensive baseline overhaul at Charleston Naval Shipyard, Charleston, SC from January to December 1982. 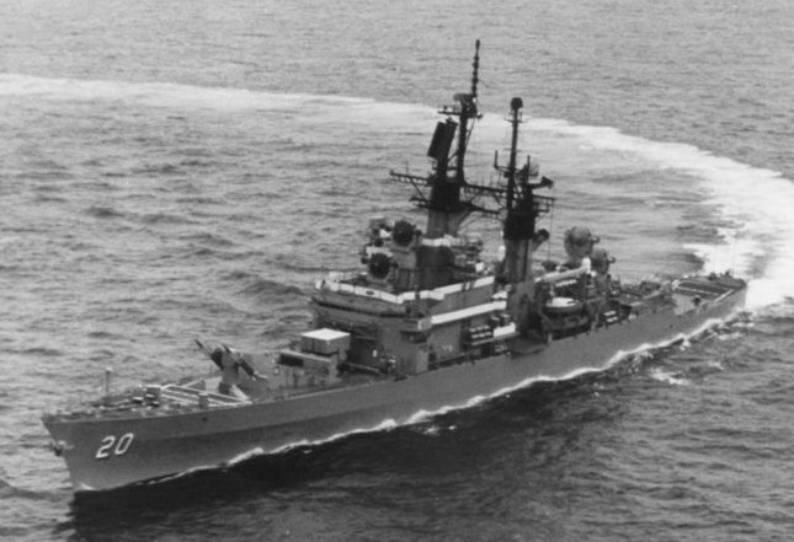 During this overhaul TURNER received numerous updates which modernized her combat systems suite; this included the installation of the Vulcan Phalanx Close In Weapons System for self defense against cruise missiles. After this overhaul TURNER completed two more Mediterranean deployments, one of which included the successful launch of a Harpoon missile during a Gulf of Sidra operation. TURNER also completed a 1988 deployment to the Persian Gulf and was a participant of Operation Earnest Will. Upon her return to the United States, TURNER was overhauled in Ingalls Shipyard at Pascagoula, Mississippi,where she received the New Threat Upgrade (NTU) to her Combat Direction System as well as many engineering improvements. In response to the crisis in the Persian Gulf caused by Iraq's invasion of Kuwait, RICHMOND K. TURNER deployed early as a primary AAW unit in the THEODORE ROOSEVELT (CVN 71) battle group, which arrived in the theater just before hostilities broke out. During 60 days of operations in the Persian Gulf, TURNER provided protection to four carriers in the CV operating area and served as an advance picket ship in the mine infested waters off Kuwait in the final days of the war. Following the cease fire, TURNER relocated to the Red Sea where she participated in the continuing maritime interception operations in support of U.N. sanctions against Iraq. Escorting THEODORE ROOSEVELT (CVN-71) through the Suez Canal in late April '91, TURNER participated in Operation Provide Comfort, the massive relief effort to help tens of thousands of Kurdish refugees who fled the turmoil of Iraq following that country's decisive defeat in the war. During this time RICHMOND K. TURNER became the Anti-Air Warfare Commander for the Aircraft Carrier Striking Force, U.S. Sixth Fleet. For her operations during this deployment, the Secretary of the Navy awarded RICHMOND K. TURNER the Joint Meritorious Service Medal, the Navy Unit Commendation, the National Defense Medal, and the Southwest Asia Service Medal. RICHMOND K. TURNER's final years were marked by a final deployment to the Mediterranean as a part of the USS THEODORE ROOSEVELT battle group. She served with distinction as an anti-air warfare commander during Operation Deny Flight over the Former Republic of Yugoslavia and Bosnia. As one of her last duties, she served as the test platform for the Navy's Light-weight Exoatmosheric Projectile (LEAP) Program, firing the first LEAP shot ever and launching the Navy into the future of missile technology. She was decommissioned and stricken 31 March 1995 and laid up with the NDRF. On 9 August 1998 she was sunk as part of a SINKEX conducted by the Enterprise (CVN-65) battle group including Philippine Sea (CG-58), Thorn (DD-988), Nicholson (DD-982) and Carrier Air Wing 3. 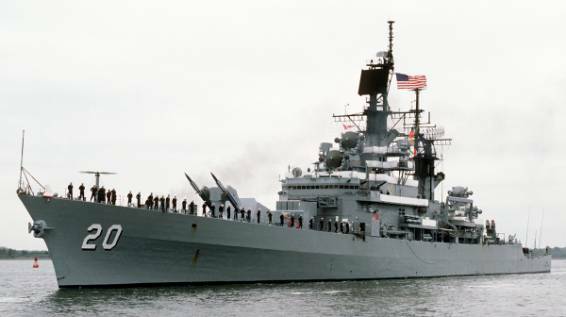 She was sunk by a combination of HARM missiles fired by CVW-3 and Harpoon anti-ship missiles fired by Enterprise's escorts. The Air Force participated with a trio of 2000-lb bombs and she was sunk in nearly 3,000 fathoms of water. RICHMOND K. TURNER has earned eight battle stars for Vietnam service.